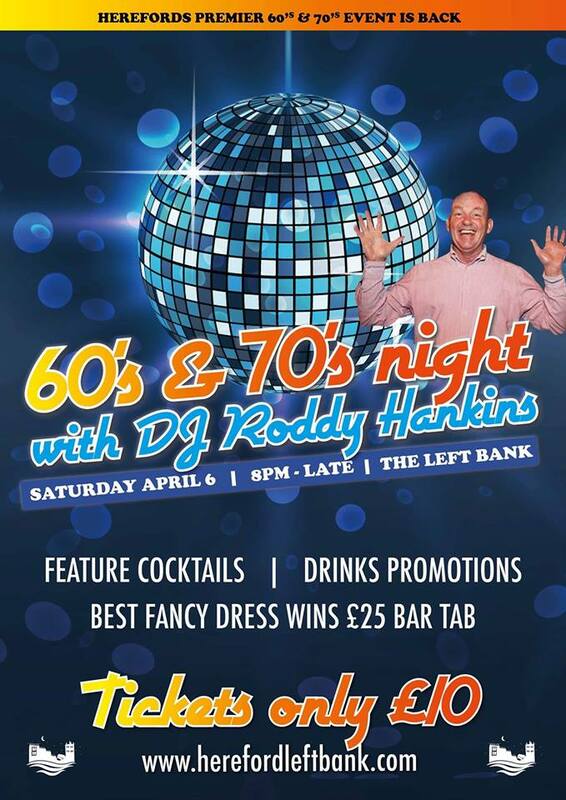 Join us on Saturday 6th of April for Herefords premiere 60’s/70’s night from 8pm-late! You can twist and shout, perhaps you’ve got tiger feet? DJ Roddy Hankins has a big box of Glam, Disco, New wave, Motown and so much more! So if you’re feeling groovy come down to The Left Bank, Hereford and have some fun! Fancy dress is optional, best dressed wins £25 worth of drinks vouchers for the event.